Reps. Doug Collins (R-GA) and Hakeem Jeffries (D-NY) are hopeful that their bipartisan prison reform bill, which would send 4,000 prisoners home, provide hygiene products to all incarcerated women, and has won the support of the "law and order" President, will pass the House tomorrow afternoon. 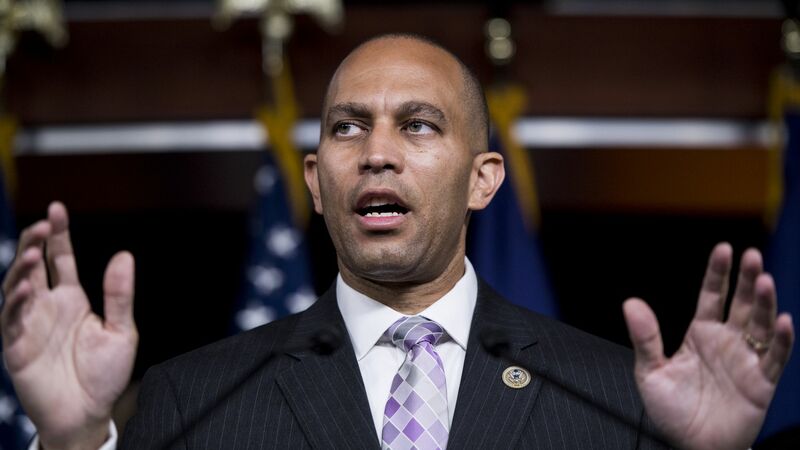 Where it stands: Jeffries told reporters on Monday afternoon that support for the bill is "trending in our direction from all corners of the House Democratic Caucus" and that significant support for the bill from the Congressional Black Caucus has emerged in the past few days. Yes, but: Some Democrats will vote no on the principal that the bill does not address federal sentencing guidelines, as well as a much smaller handful of hardline Republicans, according to Collins. What to watch: The Senate. If the bill makes it there, there will be even greater pressure, led by Judiciary Chairman Chuck Grassley, to include sentencing reform. But adding sentencing reform to the bill would also risk the support of some crucial Republicans, including President Trump.